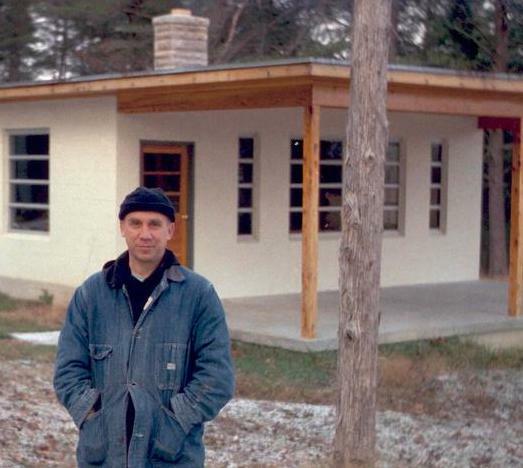 Trappist Father Thomas Merton in an undated photo (CNS photo/Merton Legacy Trust and the Thomas Merton Center at Bellarmine University). The fascinating premise of Mary Gordon’s lovely little book On Thomas Merton is that, except for his extensive correspondence with Evelyn Waugh and Czeslaw Milosz, Thomas Merton was without literary peers who could perceptively judge, critique and improve his writing. And so in this monograph she has taken up the task to address him, “writer to writer.” She does that by examining the enormous popularity of The Seven Storey Mountain, his quirky 1941 novel My Argument with the Gestapo (which was only published after his accidental death in Thailand) and the seven volumes of journal entries from 1939 to 1968 that probably represent his highest artistic achievement. Mary Gordon accords her highest praise for Thomas Merton's journals, where “his talent for description is greatest. When his senses are fully engaged, his writing comes most vividly alive." Mary Gordon is the author of eight critically acclaimed novels, including There Your Heart Lies; six works of nonfiction, including the memoirs of her parents The Shadow Man and Circling My Mother; and three collections of short stories. A highly regarded professor of English at Barnard College, she brings to this book on Merton what he himself often offered others: the frank convictions of a practiced teacher, the certainty of an established critic, and the sympathy of a successful writer who is equally aware of struggle. Interesting that Ms. Gordon sees Merton's journals as his highest artistic achievement. Merton held his journals close, and was both protective and somewhat embarrassed by them, frequently trying to let go of his journaling. Thank God he never did. Merton's writings have enriched my life for a half century. A Merton scholar tells me everything he wrote was written with publication in mind. I wonder whether such a mind set alters inherent experience. Are his journals a dialogue not only with himself but also with readers? Are his letters not only a dialogue with the addressee but also with his readers? Should this influence how we read him? Regardless, he is still a gift! "Flaccid and disembodied language" in books that are "self-consciously 'spiritual'"? I've read more than one, and I beg to differ. Particularly in the case of 'New Seeds of Contemplation', which I'm in the midst of reading for the third time. The language is staggeringly effective. Since Brother Louis wrote so voluminously in his journals, I imagine he had very definite and clear thinking as to what to publish and what not to publish. I'm sure reading the journals would be a treat; everything I've read of his has been a feast. Still, it'd be one thing to see Ted Williams take batting practice in 1959, and quite another to see him play in 1941. Evelyn Waugh wrote a very much shortened version of the 'The Seven Storey Mountain' called 'Elected Silence'. For me on my journey to the novitiate so many years ago. 'Elected Silence' captured my heart in a way that the Thomas Merton original would not & could not do. Simplicity, clarity and concentration are the marks of Waugh's version. Personally, I would recommend anyone to read first 'Elected Silence' before reading the Merton original. I loved Merton's The Seven Storey Mountain, but never understood the meaning of the title. However, I had a friend named Scott who had a personal library of all of Merton's books and books written about Merton which I could borrow if I ever needed another Merton fix. I like some of Mary Gordon's books also. Glad to read this article! Just think that a book sold 600000 copies just after the end. It says all about the book. Writer Thomas Merton was one of the pillars of modern writing. The name of the article shoots me the most the writer monk. It is true that his writing has the magic and it keep the people o age. But there is something him that makes me feel sad that we do not get much of this brilliant writer of our time. This journal will surely be a testimony of the writer. anyway, I am also working as a professional writer at a famous writing agency in london, Interested people can also try Uk.EduBirdie.com for more inspiration about writing. I have been works in this writing sector more than five years and I love to sharing my knowledge and helping people for their writing solution. This article also appeared in print, under the headline "Writer to Writer," in the February 4, 2019 issue. Ron Hansen is a novelist and professor of creative writing at Santa Clara University.